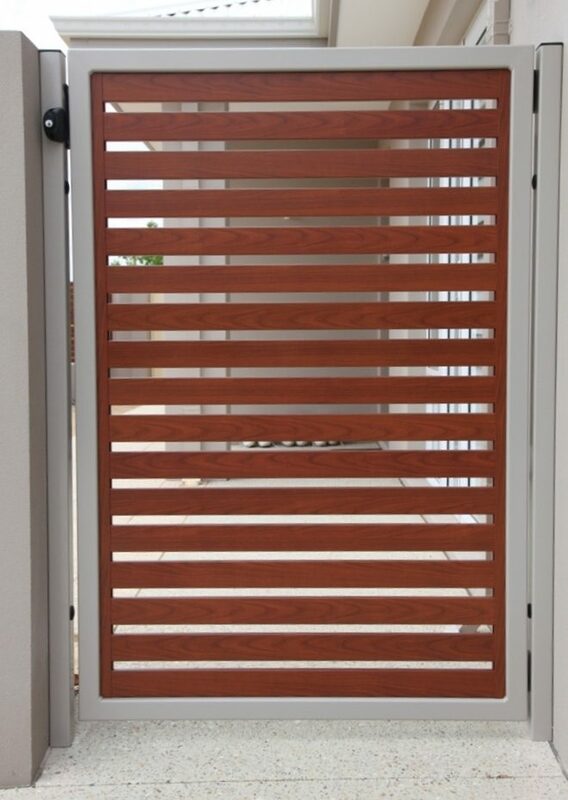 Aluminium Slatted Gates are stylish and will add value and practicality to any property. 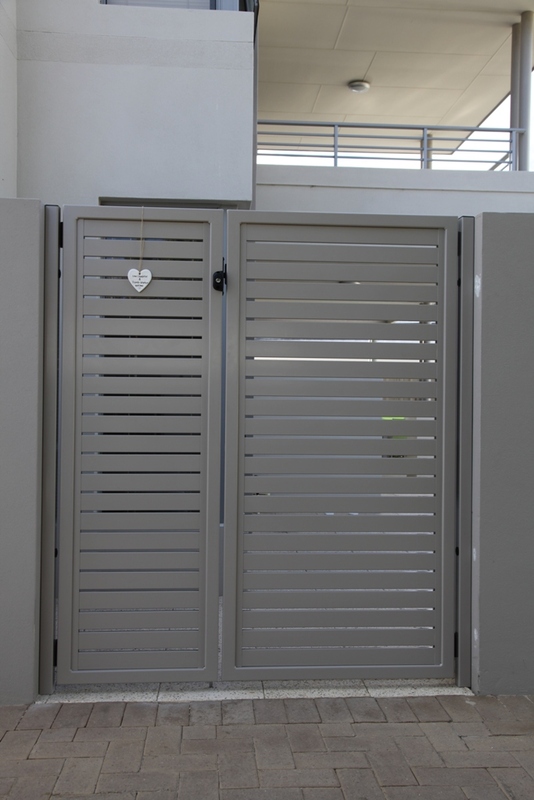 We custom make gates to suit site requirements and our gate frames are fully welded and ground down for a professional finish. 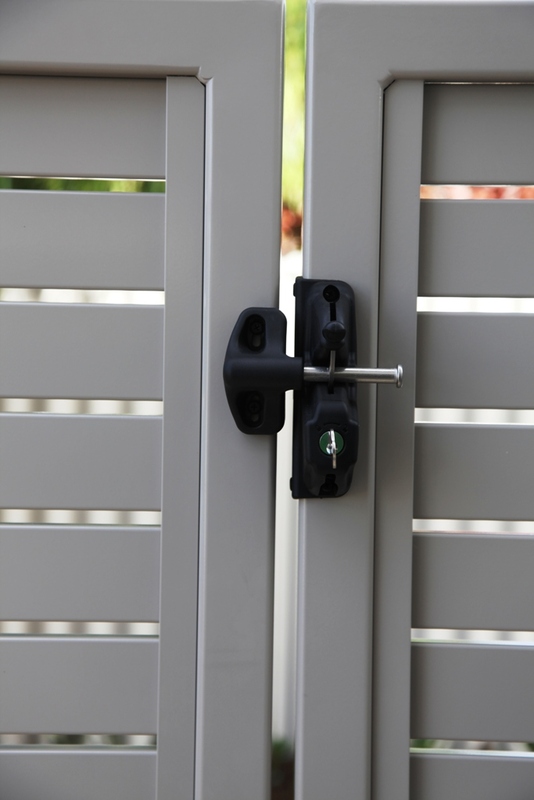 No unsightly welds or screwed corner connectors on our gates! 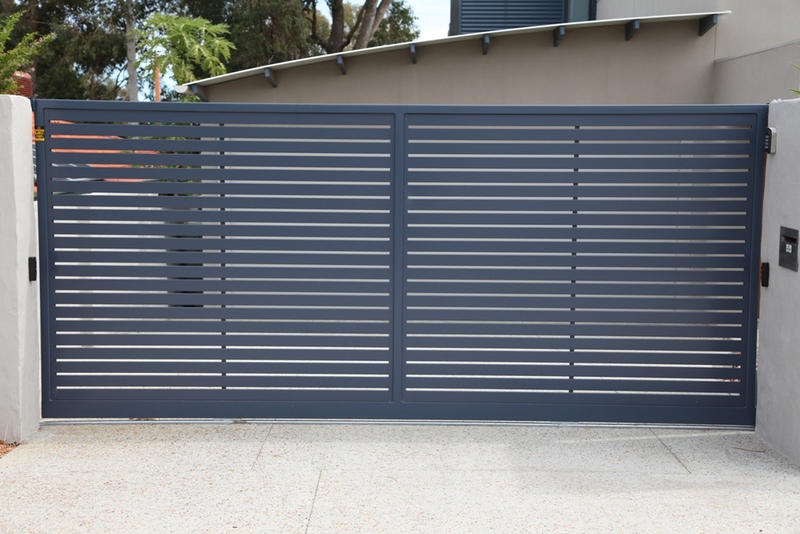 Gates can be slatted in our Timber Effect Slats or powder coated in any standard powder coat or Clourbond colour to match or compliment your house or your slat fencing. 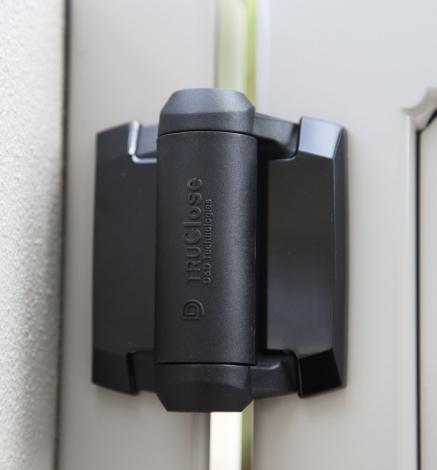 We generally use quality hinges and latches manufactured by D&D Technologies, but can offer a variety of locks to suit your requirements including electronic locks that can be connected to your intercom system. 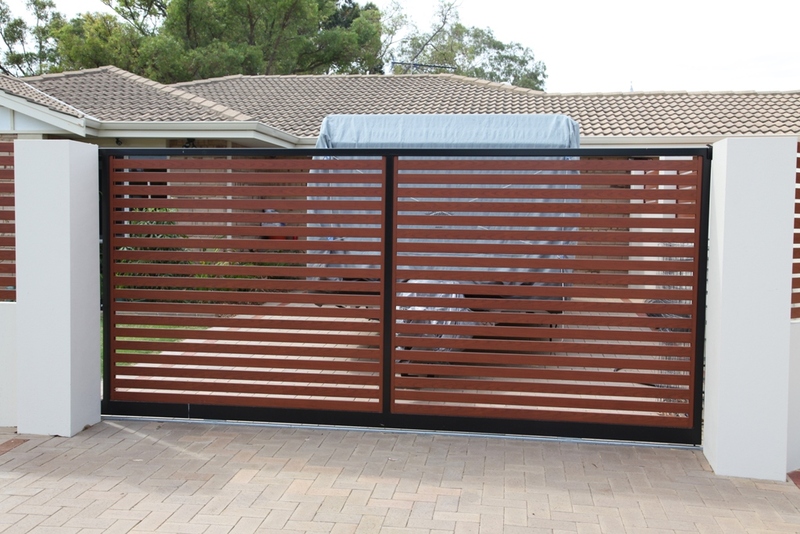 We can also supply and install automated swing and sliding gates to suit your property including solar powered options. We use high quality automation equipment manufactured by Centurion Systems in South Africa and branded Centsys in Australia. 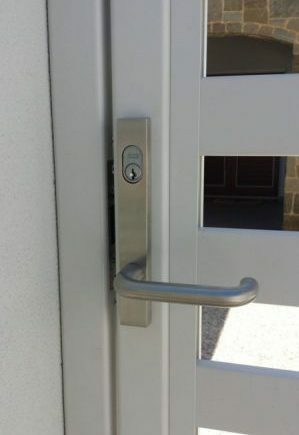 Centurion are world leaders in gate automation and access control equipment development and manufacture. They export to over 50 countries around the world and are accredited with ISO:9001, the internationally recognised standard for quality assurance. 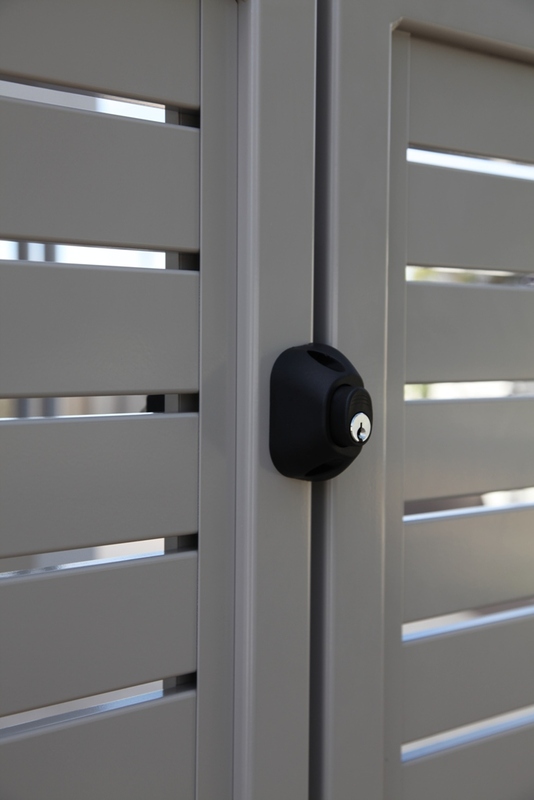 Their gate motors have many features such as world first Chronoguard setup offering a unique timing functionality, adjustable speed control, adjustable pedestrian openings, restricted access on remotes if required, holiday lockout and many more. Please contact us to discuss your requirements.